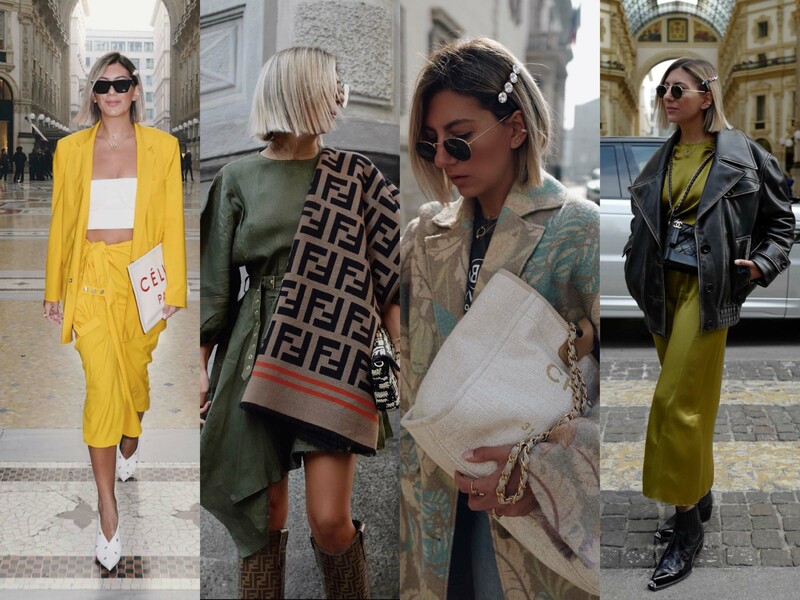 ENG: My lovelies, even though the international Fashion Weeks are a couple of days back now, I wanted to take the chance to tell you a little bit more about the looks I wore. Your feedback was so positive that I felt very empowered and supported in trying something new. Even though I always want to stay true to myself and my style, I left my comfort zone a little and tried a new direction. 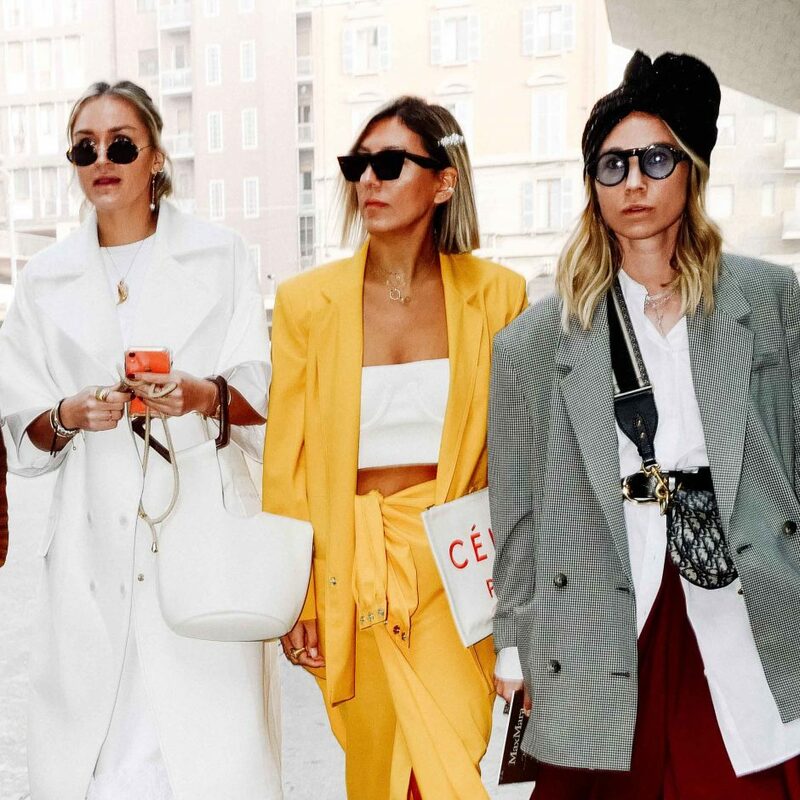 With outfits like for example the ‘all yellow’ look by Max Mara, which was my absolute favorite of the entire Fashion Week, I felt so supported in my decision, since the feedback was so amazing. Also wider pants, as for example the one by Fabiana Filippi was an absolute highlight for me. The Milan Fashion Week was an emotional rollercoaster overall, as I got the chance to see the last Fendi Show that was designed by Karl Lagerfeld, which was a great honor of course. Also the Max Mara show, for which I wore the before mentioned yellow look, was an absolute highlight. The Aigner show was great as always too – and my look for that was completed by a bucket hat – but more about those soon on the blog! For now I hope that you guys like my looks – and soon there will be a summary of my looks for Paris too! I wish you all a nice Sunday and have a good new week! Ich wünsche euch allen einen schönen Sonntag und kommt gut in die neue Woche! ENG: Maybe some of you have recognized, that I have been in Milan last week for some Fashion Week action. With some distance I can definitely say, that my time in Milan definitely belongs to the most beautiful and eventful Fashion Weeks so far. The atmosphere during the different events but even between the girls was amazing. My personal highlight was the Fendi show due to the breathtaking new collection. Based on the fact, that I get fittings from specific brands for shows and events during such a Fashion Week, I have to change my outfits several times and this circumstance results in up to five different looks per day. For this reason I have collected all my Milan Fashion Week looks for you today and I am very excited about your feedback. You can gladly leave feedback about your preferred look from the selection below. From tomorrow on I will be part of the Paris Fashion Week ending but more on this will follow next week. 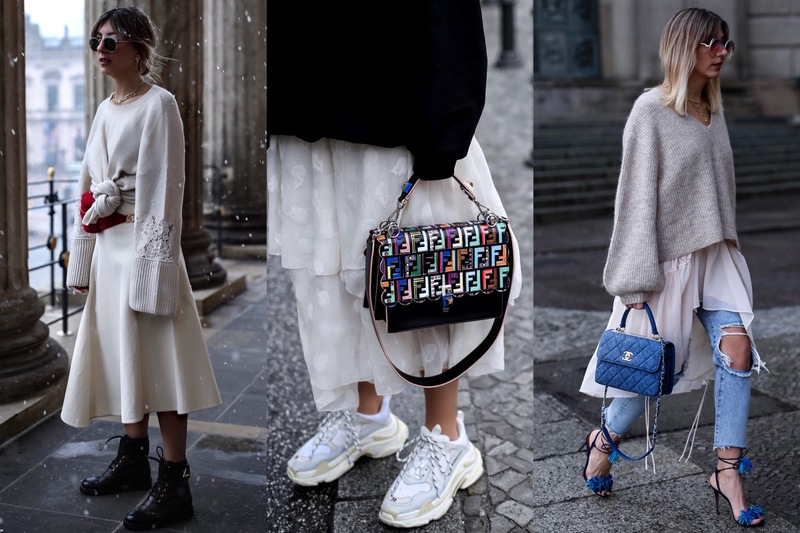 ENG: I have been back in Hamburg for a couple of days now and look back at the time of Paris Fashion Week with rather mixed feelings. Of course Paris is an amazing city with unbelievably many sights and shopping areas that let the heart of any woman skip a beat, but the city has also not been spared of the cold, which created some frosty moments during our shoots! ENG: Bonjour from Paris, the last Fashion Week destination this season with various shows and events. 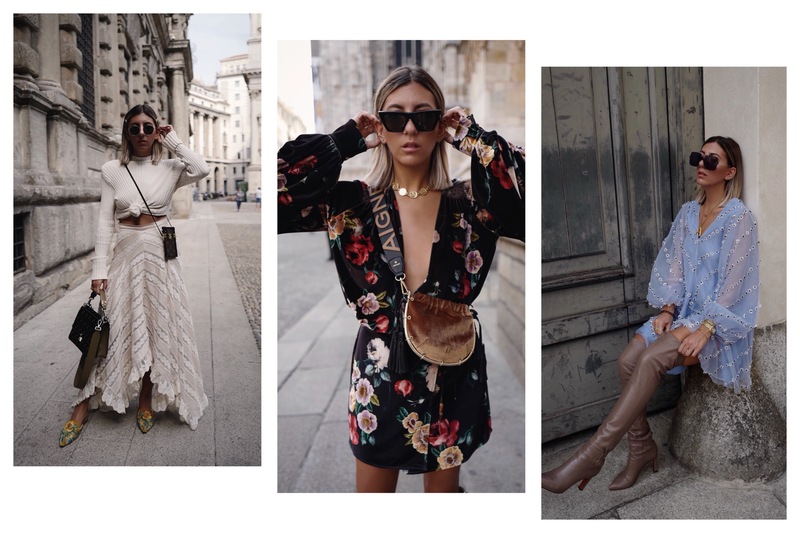 I could already gain great insights and will share all my experiences and trends for the next autumn/winter season after my arrival in Germany here on the blog. ENG: It was only a brief treat but also a very nice one, my very first stay in Copenhagen this week. From Turkey I took a direct flight to the Danish capital being very impressive concerning the architecture and fashion consciousness. I came across open-minded, courteous and stylish people, so I’m sure my next stay in Copenhagen will follow very soon. DE: Es war ein kurzes aber auch sehr schönes Vergnügen diese Woche in Kopenhagen für die Fashion Week gewesen zu sein. Direkt aus der Türkei ging es am Mittwochmorgen in die dänische Hauptstadt, die nicht nur architektonisch, sondern auch modisch einiges zu bieten hat. Die Leute sind offen, zuvorkommend und sehr stylisch unterwegs, sodass ich definitiv noch einmal zurückkommen werde, um die Stadt richtig zu erkunden. ENG: Happy Friday! Especially in such cold and nasty weather, the longing for sunshine and warmer days is a huge thing for me, which is why I took the chance right in the first rays of sunshine to shoot one of my favorite looks for the upcoming season! These beautiful Aquazzura stiletto sandals are an absolute eye catcher and can easily be combined to different outfits and for various occasions. I took the chance and combined them with the Denim Chanel bag, since I feel like these two nuances of blue are perfect together. With a flowing dress and a soft H&M Trend sweater that moved in with me last week, the layering look I was going for is completed. The sunglasses by Chloé are a perfect add-on, since the soft rose color matches the dress and creates a harmonic color scale, that fits perfectly to the – hopefully soon to be here – spring season. And just like that another great look is ready, which can be worn to different occasions due to the number of different highlights that have been integrated into the look. But before we go into the next season – hopefully soon – I would like to know: Do you wear different layers to make the look more exciting too?